All recruiting is to go by Storm Of Scythes he is the Storm who will be the one to recruit and evaluate. anyone on MTW or VI can talk to Scythes about being recruited. 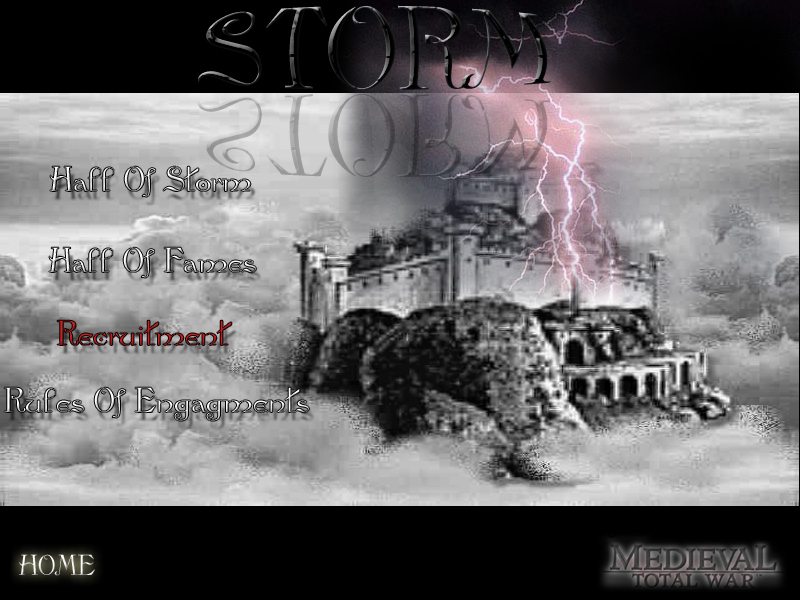 The storm clan work with 2 sub class , Wrath Of God and The Apprentice, both got destruction points. Each members got there DP to level up on our Noble Titles. How long u been playing total war(tht include the 4 games)? 0 point Under 3 Month the recruit start as Clam_Of_Playername read rules for Calm down here. the evaluation will be on activeness playing. all members under 30 DP are The Apprentice. arround 1 month the player his evaulate, 5 Dp bonus it give. New position as The Apprentice and he enter on Dp tracking sheet.